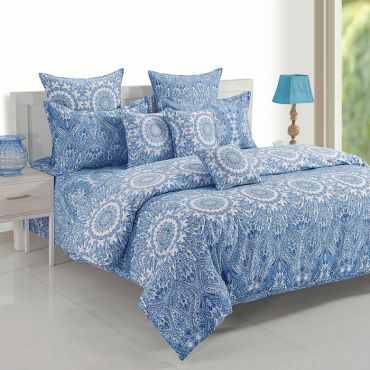 Have A Blissful Day with A Morning Boost Modern Designs- Trendy Indian Home Fashion. Affordable Luxury- Celebration Makeover. Rotary Pigment Printing - Dense and Vibrant Multicolor. Colorfast- Newer For Longer. 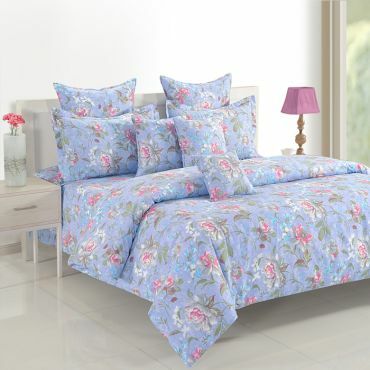 Feel Yourself Amazed Fill the change of season with spring delight sparkle bed sheets. 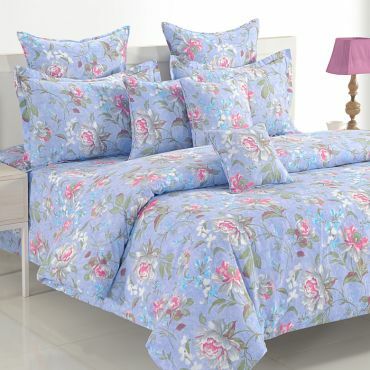 The luxury bed sheets will add great elegance and charm to your space with beautiful blossoming floral prints. Experience the charm of big roses Modern Designs- Urban home set up. Affordable Luxury- 120-140 Thread counts. Vibrant-Brighter, shiny. Colorfast- Don’t fade away. 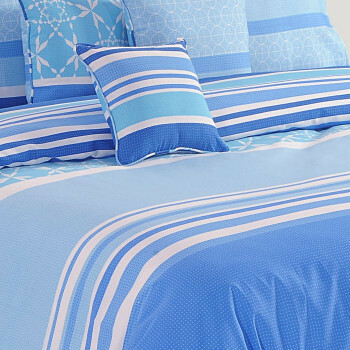 Bring Home Something Unique and Stylish Give a clean and crisp look to your bedroom with colorful cubic bed sheets. 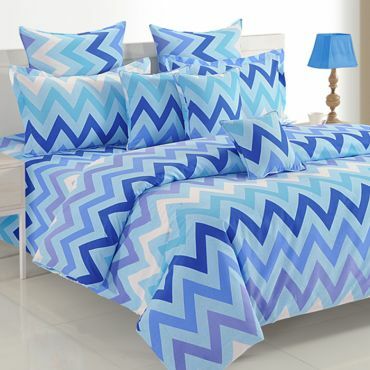 These luxury bed sheets are designed with diamond shaped checkered design which create a lively ambience in your space. You will not find any kind misprints which can ruin the look of your bed. Feel The Pleasure of Eye-Soothing Colors Modern Designs- Trendy bed room interior. Affordable Luxury- Pay less, get more. Vibrant- Turn living more colorful. Colorfast- Stay lively for long run. 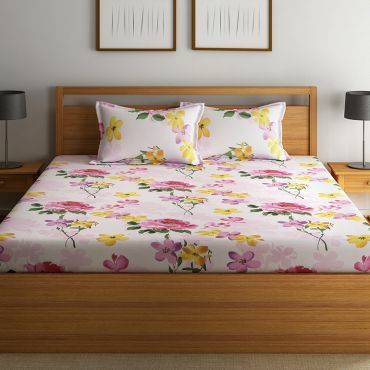 If you are in search of designer luxury bed sheets then this betel leaves bed sheets will be best and ideal for your bedroom. 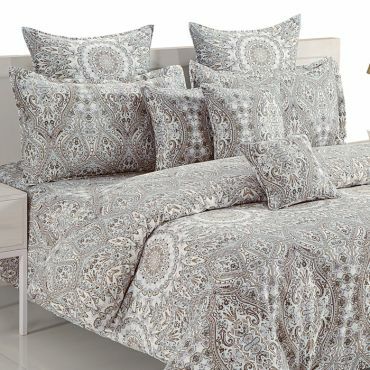 Each and every motif is printed with precision on these luxury bed sheets which gives a rich and sophisticated look. 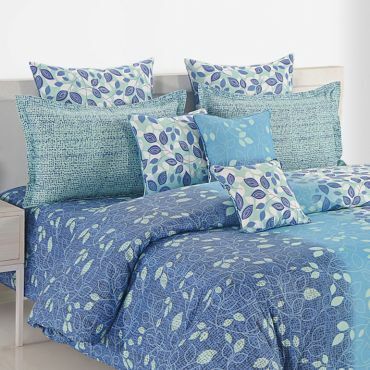 Buy betel leaves sparkle bed sheets from the online portal of swayamindia.com and make your bedroom more interesting. 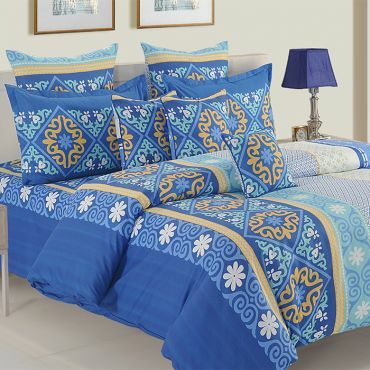 Royal Surprise Surprise yourself with a royal look of golden spades luxury bed linen set. 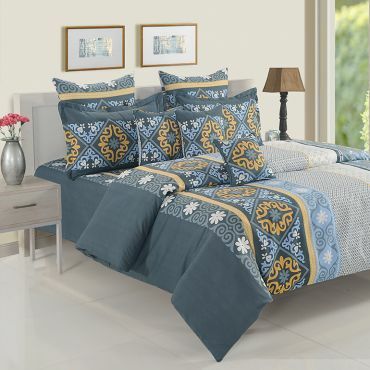 The serene color combinations of gold and brown give a sophisticated elegance to your luxury bed sheets. The unique mix of spade patterns with gold weave patterns offer a rich and lively look. 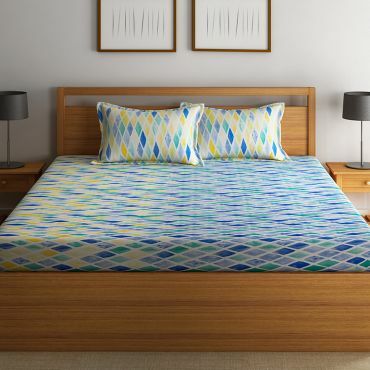 Buy Gold Spades Sparkle bed sheet online exclusively from swayamindia.com bring a look of satisfaction. 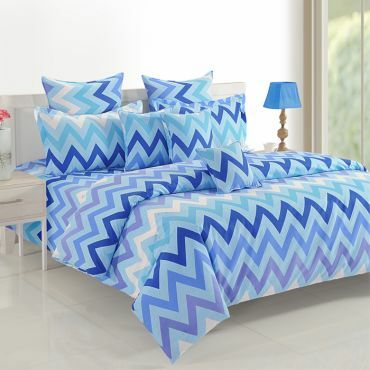 Colorful Checkered Designs Adorn your bed with a beautiful set of colorful diamond-shaped checkered patterned luxury bed linen. 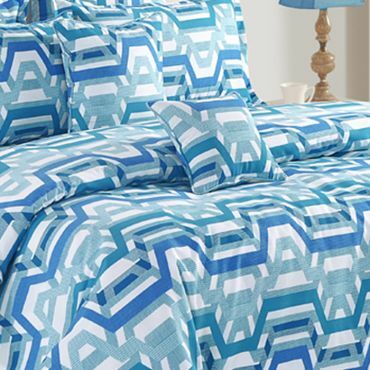 The rhythmic flow of check patterns offers a lively look, striking a balance with a soothing combination of colors. 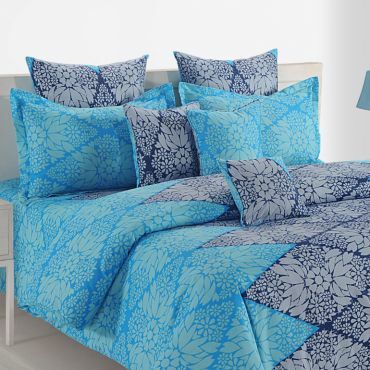 These luxury bed sheets are perfect when you want to create eye-catching spaces. 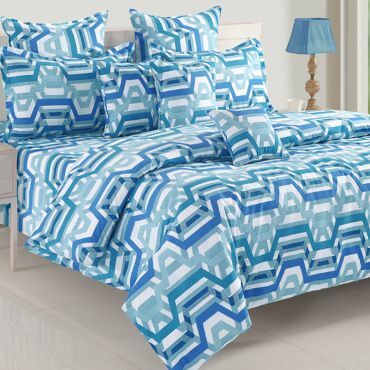 The colorful check patters add liveliness to the luxury bedding set. 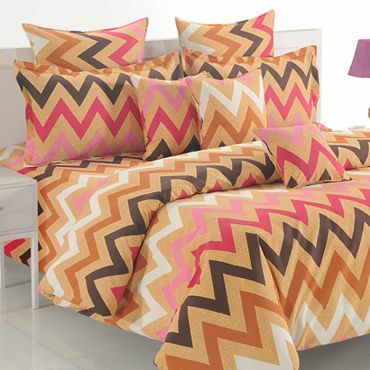 Give a Charming Look Bring warmth and happiness in your bedroom with orange floss bed sheets. 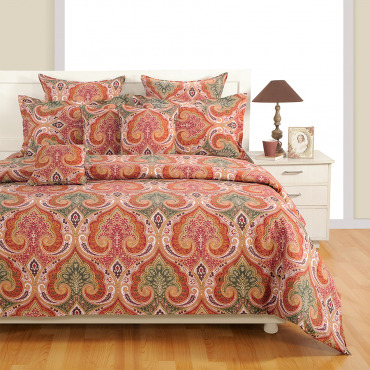 The luxury bed sheets have a glossy bright orange color which will rejuvenate your spirit and also brighten up the bedroom with the beautiful designs. 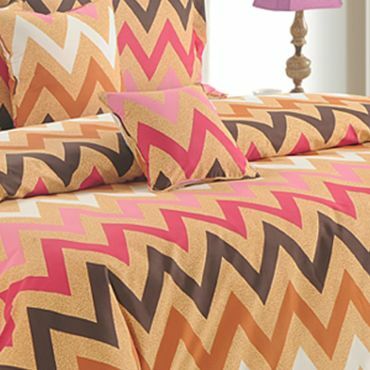 Buy orange floss sparkle bed sheets from Swayam and bring positive vibes into your bedroom. See The Unseen Face of Rich Tradition Modern Designs-Ornamental pattern is all time trend. Affordable Luxury-120-140 thread counts. Vibrant- Brighter Colors Colorfast- Quality dyes, don’t get fade away even after many wash.
A Lap to Soothe Mind,Body And Soul Modern Designs- Modern home decoration. Affordable Luxury- Party makeover. Rotary Pigment Printing - Vibrant multicolor. Colorfast- Newer for longer. Fill Up Modern Vibes in Urban Homes Modern Designs-Unseen and unmet patterns. Affordable Luxury- Lavish, smooth, glossy. Rotary Pigment Printing- - Magical beauty of multicolor. Colorfast- Vibrant for longer run. Feel Super Fresh Every Morning Modern Designs: A Fresh home set up. Affordable Luxury: Glossy, lustrous, smooth textured. Rotary Pigment Printing: Harmonized multi color. Colorfast: Vibrant. Flaunt the Modern Fashion and Be Parallel to Modern Trend Modern Designs- Lateral bed makeover. Affordable Luxury- Lavish, smooth, soft. Rotary Pigment Printing - Best of multicolor combination. Colorfast- Evergreen vibrancy. Choose Unique, Be Different Modern Designs- Ultra urban home fashion. Affordable Luxury- Lavish look, smooth textured. Rotary Pigment Printing- Quality multicolor design. Colorfast- Vibrant for longer run. Enliven the Space with the Spark of Urban Fashion Modern Designs- Be abreast to trend. Affordable Luxury- Glossy look, smooth texture. Rotary Pigment Printing - Vibrancy, multicolor. Colorfast- Does not get dull for longer run. Spread the Vibes of Vibrant Home Fashion in Your Space Modern Designs- Be trendsetter. Affordable Luxury- Glossy, smooth, soft. Rotary Pigment Printing - Perfect harmony of multicolor. Colorfast- Vibrant for longer run. Adorn Homes with Modern Pattern Modern designs: Stylish home makeover. Affordable Luxury: Lavish look, smooth textured, soft touch. Rotary pigment printing: A perfect harmony of multi-shades and multi color. Colorfast: Newer for longer. 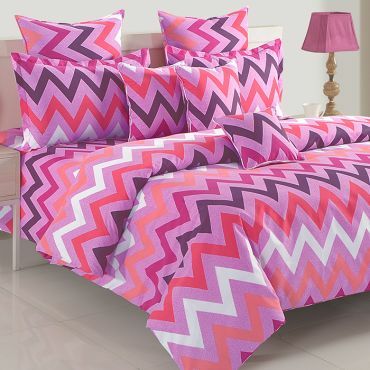 Add A Pinch A of Vibrant Fashion in Bedroom Modern designs: Vivid living space. Affordable Luxury: Lavish look, smooth textured, and soft touch. Rotary pigment printing: Multi color charm. Colorfast: Does not get faded for longer run. Let’s Kick Off Morning with Chilling Vibes Modern Designs: Lively home makeover. Affordable Luxury: Lustrous look, smooth texture, soft touch. Rotary Pigment Printing: Perfect harmony of various shades. Colorfast: Vibrant. Be Contented with Fashion Bliss Modern designs: Stylish home makeover. Affordable Luxury: Lustrous look, smooth texture, and soft touch. Rotary pigment printing: Quality multi color. Colorfast: Vibrant for longer run. Beautify Home Perfectly With Best Classic Design Pattern Modern Designs- Traditional yet Urban. Affordable Luxury- Lustrous look through 120-140 TC. Rotary Pigment Printing - Vibrant, Brighter, Shiny. Colorfast- Newer for longer. There is nothing compared to luxury bedding that makes you feel like a thousand bucks while you drift off swiftly to dreamland. Whether you prefer breezy whites, royal blues, cozy blacks, fresh greens, earthy browns or sunshine yellows, we have a bed sheets especially designed to cater all your requirements. Integrated with shiny, shimmery, splendid hues and intricate design patterns, these linens are surely going to make your heart skip a beat. Like the purest form of love, this adorable and sparkling new collection will surely drive you crazy. Designed with insanely excellent and exclusive pattern, your home will beam with fresh exciting colorful arena. Let your senses groove to the beats of glistering shades and style that will make your eyes twinkle with amazement. See your heavenly abode getting transformed into a whole new celestial paradise. 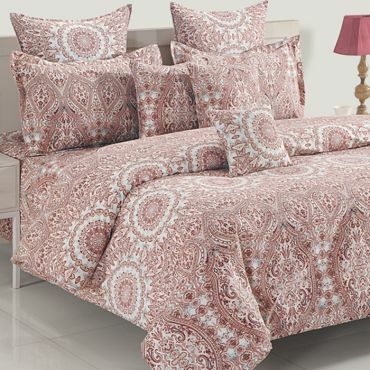 Buy sparkle bed sheets and rediscover the glamorous way of decorating your bedroom with this dazzling and gleaming haute collection from swayamindia that will leave you bewildered. Crafted by the passionate designers, these linens will leave no stone unturned to give you a flawless experience of impeccable interiors that will brighten up your day instantly. 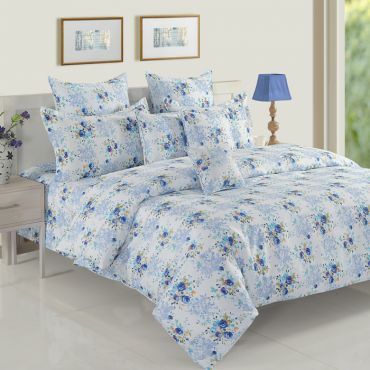 Find these cotton double bed sheets online as it will give your living style a much needed makeover with its magical touch and alluring appearance. These luxury bed sheets collaborated with a modern twist are skin friendly. It will pull you out of lethargic atmosphere while creating an aura of serendipity and tranquility. Meant for the ultimate luxury, they are integrated with premium grade cotton. It traps the heat and lets cool air pass through in summer simultaneously that makes it a great choice for almost any climate. 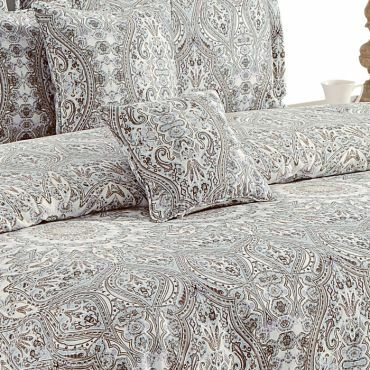 The thread count of the fabric provides breath ability to these linens. They wick away the body heat which works well in hot climates. The smooth and tender surface will create an irresistible urge for your fingers to engulf into its lavish feel. Splurge into the world of luxurious comfort with luxury bed sheets which are the twinkling stars of our fresh new collection and let your heart sour high into the wonderland of peaceful slumber. 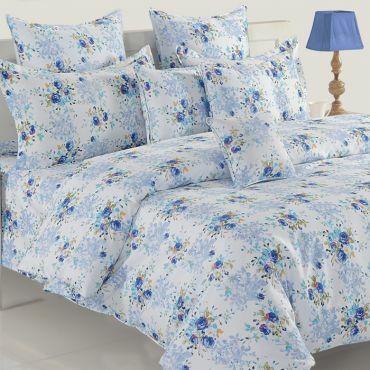 You can easily find these adorable cotton double bed sheets online and bring home a spectrum of joy and happiness. These luxurious versions of amazing craftsmanship that available in a range of rich colors are a fail-safe choice for any style bedroom. 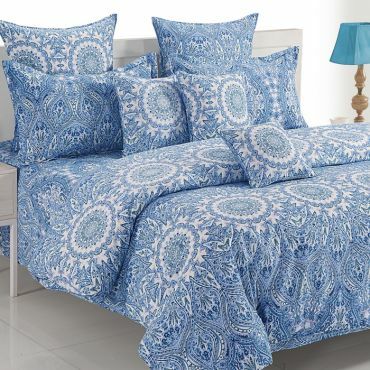 So Buy sparkle bed sheets from our home decor website www.swayamindia.com and open a window of fresh air to let your room glow with a perfect panache.